A grand statement. 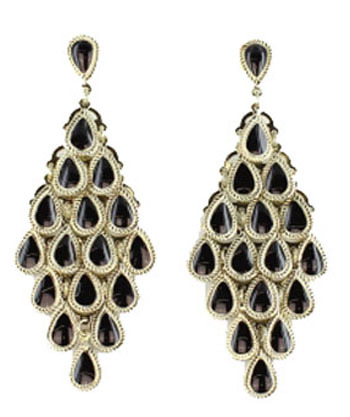 The Aurora Chandelier Earrings make an elegant entrance in a tiered diamond shape of black and gold teardrops. The answer to your black-tie dilemma.Discover one of Australia's largest jewellery shops right here right now!